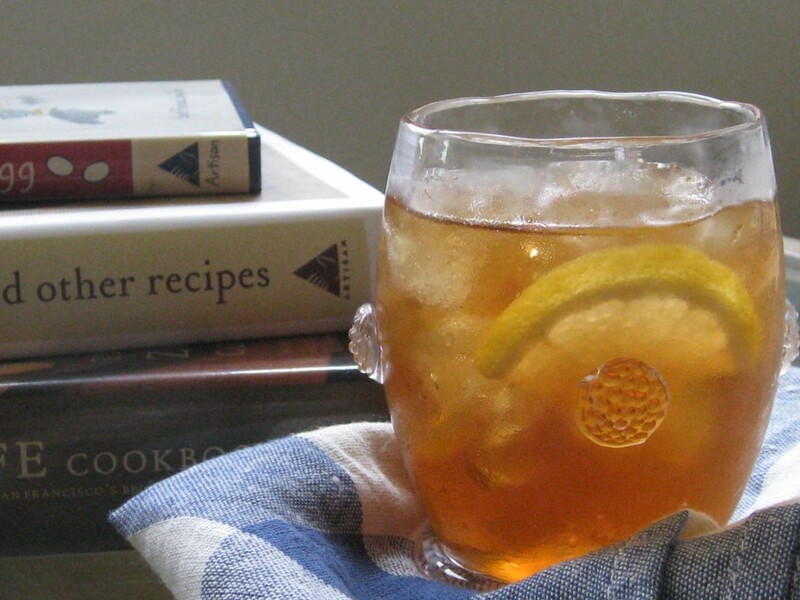 This recipe is our go-to for clients who love iced tea but want to go easy on the sugar. I always have a pitcher ready when I’m expecting weekend guests. It’s also great for an afternoon alone with with my favorite cookbooks. Bring 4 cups water to a boil. Pour over the tea bags in a large heat-proof mixing bowl. Let steep 6 minutes before removing the tea bags. While the tea is still hot, add a squirt or two of the agave. I usually squirt into a small figure 8 two times and that is the perfect amount for lightly sweet tea. Add four cups cold water. When the tea is cool enough to handle, pour into your pitcher of choice and chill. Add lemon slices just before serving and, if you remember, pop your serving glasses in the freezer for a few minutes just before pouring. A chilled glass makes all the difference. It’s the Cameron Double Old Fashioned by Juliska. A gorgeous wedding gift from the Swenson family of Winnetka, IL. I love the uneven rim! Thanks for sharing Sarah! Loved this tea. Was inspired by you and made some of my own mixing mango black tea and ginger. Adding the ginger tea almost cuts the need for sweetness but you better believe I am going to get some Agave the next time I venture into Whole Foods. ooh mango and ginger sounds so good! Can’t wait to try. Sas! Thanks for the shout-out! That drink is lookin good!